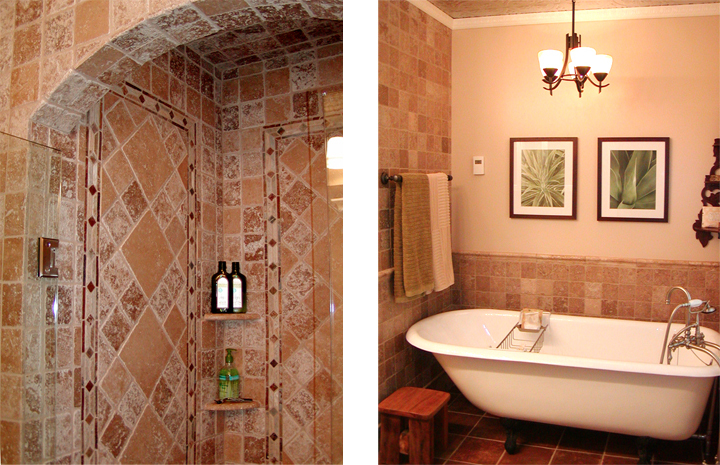 We design and install custom bathroom remodels, kitchens, floors, counter tops and much more. Need help designing your dream? At Tuttle Tile we’ve designed some of the highest end kitchens and bathrooms in the Twin Cities. Looking to do a quick remodel or change the current look? We can give you options that leave Impressions no matter what your budget is. Your home is a reflection of your style, your taste, and the things you love. Tuttle Tile combines the artistry of tile and stone with expert installation to bring your vision to life or assist you in designing a space that compliments your lifestyle. Because of our very extensive experience, we can guarantee your satisfaction. We value your time and we are always do our job on time, so you can expect the installation to be completed as scheduled. We always respect the surrounding environment around our work. We will cover your furniture, carpet and other household items, to protect them.